The Swissotel Resort Phuket enjoys a great situation on Kamala Beach, a vibrant area, ideal for both relaxation and energetic experiences close to shopping and recreation sites. 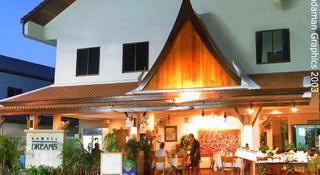 It is a just a half-hour drive to Phuket International Airport. The hotel boasts impeccably decorated suites, whilst having access to a myriad of modern amenities and facilities. Guests will definitely enjoy the reenergizing spa and outdoor pool area with a luxurious and relaxed atmosphere. Experience the beautiful and charm of the island while having an unforgettable experience at Swissotel Resort Phuket. This outstanding property is located directly on the white sand beach of the great Kamala bay, on the western side of Phuket Island. This beach-hotel is a 10-minute drive from nightlife and shopping. It is within a 5-minute walk from Phuket Fantasea theme park. This family-friendly resort offers 2 restaurants, an on-site convenience store and a wide selection of activities for children. The air-conditioned rooms are very spacious and come with a kitchenette without stove, 220-Volt electrical outlets, electronic door lock, safety deposit box, telephone (IDD, surcharge), Wi-Fi (surcharge), microwave, oven, light kitchen equipment, crockery/cutlery, fridge (mid-size), coffee/tea making facility, free drinking water, bathroom and toiletries, shower, hot and cold water, towels, bathrobe, slippers, hair dryer, flat screen TV, satellite TV channels, movie channel, sitting area, sofa bed, wardrobe/closet, working desk and balcony/terrace. Guests can exercise at the fitness centre, enjoy the hotels in/outdoor kids play area or enjoy a Thai massage at the outdoor massage sala's. The resort also has an on-site clinic. La Tasca restaurant serves international dishes and a breakfast buffet in a casual setting. 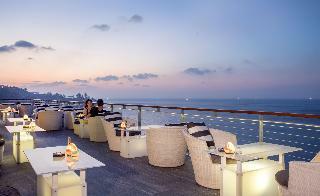 Other dining options include fine dining restaurant and cocktails at the lounge bar. The hotel is built in an L-shape and looks out over Kamala Beach. All studios have sea view and all look out over the swimming pool. The 7 Ground floor studios and the lower Beach Studio open up directly to the swimming pool area. There is a private terrace for Kamala Dreams occupants at the beach end, Each studio is between 35 and 40 sqm including the private terrace. Every room is air conditioned which can be controlled by remote, a small kitchen corner with refrigerator and microwave oven, a writing/make-up desk big hanging lockers a king size double bed, a dining table with 2 chairs and terrace furniture. TV with satellite programs, telephone and/or Internet connections in all rooms. A private bathroom with a big shower stall and hot water. Extra beds are available at a cost depending on the season. Safety deposit boxes are available in the office. Novotel Phuket Kamala Beach is located on the west coast of Phuket on Kamala Beach, near Phuket Fantasea and about 30 minutes from Phuket International Airport. The resort offers amazing views of the Andaman Sea and features direct beach access, an all-day dining restaurant & roof top bar overlooking the sea, lobby bar, swim up pool bar, swimming pool, In-Balance Spa & Fitness, Kids Club, Free Parking, WiFi, complimentary shuttle service to Patong and modern conference & meeting spaces. This colourful lodging unifies traditional Thai hospitality with the contemporary concept of the inexpensive and social hotel accommodation. A 5-minute walk will take visitors to Kamala Beach and Phuket Fanatsea, while the Patong Beach and Karon and Kata beaches are 10 and 17 km away respectively. In order to get there, guests at the hostel can use the motorbike rental services. The staff can offer assistance with travel and transportation arrangements and laundry services. The seperate builing spacious dormitory rooms are furnished with bunk beds and fans or air condition. Guests can use the shared bathroom and shower facilities and try a Thai specialty at the hotel restaurant. Located a 5-minute walk from the beach, Chabana Kamala Hotel boasts an outdoor pool and free WiFi access in public areas.With shops, bars and restaurants nearby, this hotel is 1 km from Phuket FantaSea. 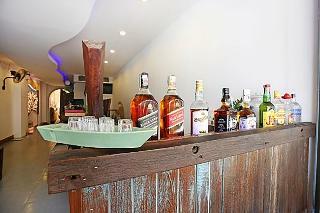 The bustling centre and nightlife of Patong is a 15-minute drive across the hill. Phuket International Airport is a 40-minute drive away.Air-conditioned rooms feature a flat-screen TV, a desk and a safety deposit box. They also have a minibar and an electric kettle. A shower and free toiletries are provided in the en suite bathroom.Services and facilities at Chabana Kamala Hotel include a laundry, a free shuttle service and a 24-hour reception. Guests can also enjoy a pampering treatment at their spa.Thai and international dishes are served at the hotel's restaurant.This is our guests' favourite part of Kamala Beach, according to independent reviews.We speak your language! Located on an oceanfront private headland on the southern end of Kamala Beach, the resort has direct access to a small beach, just a 10-minute walk away. Guests will find restaurants, bars and shops in the resort centre of Kamala, around 700 metres from the holiday village. The Tsunami Monument is 800 metres from the resort. Phuket International Airport is approximately 38 km away.The estate offers 20 direct oceanfront villas and oceanfront apartments with contemporary Thai or modern style. Staying at the resort, guests will enjoy the panoramic ocean views across Kamala Bay to the rolling mountains surrounding Kamala Beach and the village of Kamala. 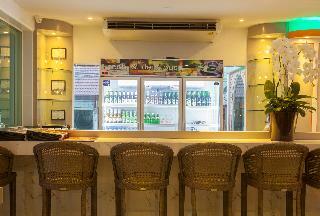 Facilities include a lobby with 24-hour check-out service, a hotel safe, currency exchange facilities and a restaurant. Guests may also take advantage of the Internet access, room and laundry services, and a car park.All villas and apartments are decorated with contemporary Thai touches and modern styles. Each guest room is fully equipped with an en suite bathroom with shower and hairdryer, a king-size bed, a kitchen with fridge, microwave, dining table and tea and coffee making facilities, and a private balcony. Other in-room amenities include a direct dial telephone, satellite TV, Internet access, a safe, ironing set and individually regulated air conditioning.The hotel offers two swimming pools, one children's paddling pool and a hot tub. The holiday village offers free kayaks. The nearby beach is sandy.A continental breakfast is served each morning and the restaurant offers all-day dining and room service. Cape Sienna Gourmet Hotel & Villas is a chic, modern yet romantic resort on Kamala beach, that brings a touch of sophisticated style to the tropical beauty of Phuket island. The sleek lifestyle hotel and villa accommodations as well as the restaurants, bars and amenities of Cape Sienna Gourmet Hotel & Villas are all positioned to command stunning views to Kamala Beach from a dramatic west coast headland. Cape Sienna Gourmet Hotel & Villas's architecture and embracement of style attracts an exciting mix of customers who demand affordable style and service in a new and unexpected location along the Millionaire's Mile of Phuket. Cape Sienna Gourmet Hotel & Villas is the perfect place for Honeymoons, winning top honors in 2010 as one of the most romantic hotels in Asia and even in the world by tripadvisor travelers' choice awards. The Bell Pool Villa Phuket resort is just 5 minutes by shuttle bus from the fabulous Kamala beach, which lies on Phuket's famous west coast. Nestled at the bottom of the beautiful Kamala mountain range, it occupies a truly spectacular setting. The town centre of Kamala, a beautiful town with breath-taking surroundings, is approximately 1.5 km away. The hotel boasts elegantly appointed poll villas, all fitted with up-to-date amenities. This great resort provides a true experience in a relaxed ambience, ideal for romantic holidays. 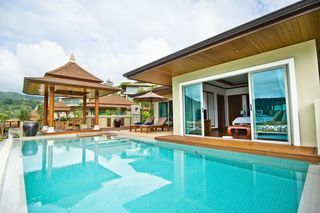 Situated in Kamala, Villa Tantawan Resort and Spa is close to Tsunami Memorial, Phuket Fantasea, and Laem Singh Beach. 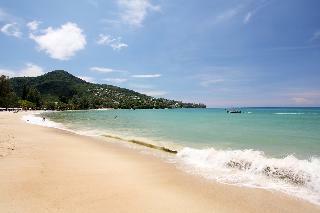 Also nearby are Surin Beach and Kamala Beach. 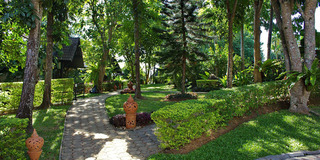 Villa Tantawan Resort and Spa has a fitness center and complimentary bicycles. Complimentary wireless Internet access is available in public areas. The hotel offers a restaurant. Guests are served a complimentary breakfast each morning. 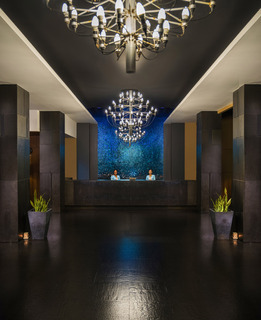 Additional amenities include spa services, multilingual staff, and tour/ticket assistance. Rooms open to balconies or patios. The guestrooms at Villa Tantawan Resort and Spa include private plunge pools and minibars. Complimentary wireless high-speed Internet access is provided. Rooms are equipped with LCD TVs with premium cable channels and DVD players. All accommodations provide safes and phones. Bathrooms offer separate bathtubs and showers with rainfall showerheads, bathrobes, hair dryers, and slippers. All units at this 4-star hotel have kitchens with stovetops, full-sized refrigerators/freezers, microwaves, and separate dining areas. Additional amenities include coffee/tea makers and complimentary bottled water. In addition, housekeeping is offered daily and amenities available on request include in-room massages. Staff very friendly & helpful. Good selection at breakfast. Nice pools and good location (between Kata & Karon beaches).